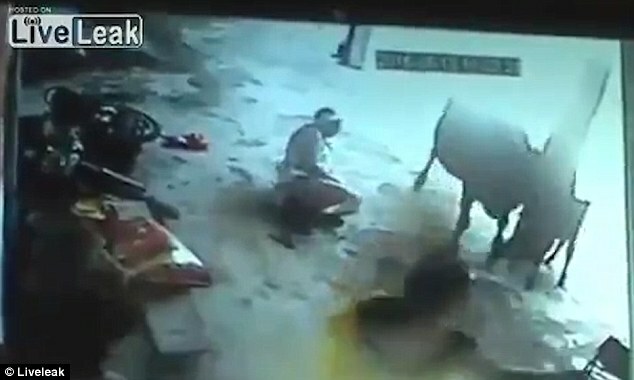 This is the disturbing yet incredible moment when a girl was being stabbed to death by his own father and uncle in an alleged “honor killing” and was somehow tried to be saved by her unusual hero – a cow! The victim identified as Seema Gujjar was confronted by the culprits near a women’s shelter in Hazira, India, where she had been staying. Moments later, her father and uncle began stabbing her multiple times. But the attack caught the attention of a cow and somehow angered it, which later charges towards the murderers, stopping the assault. 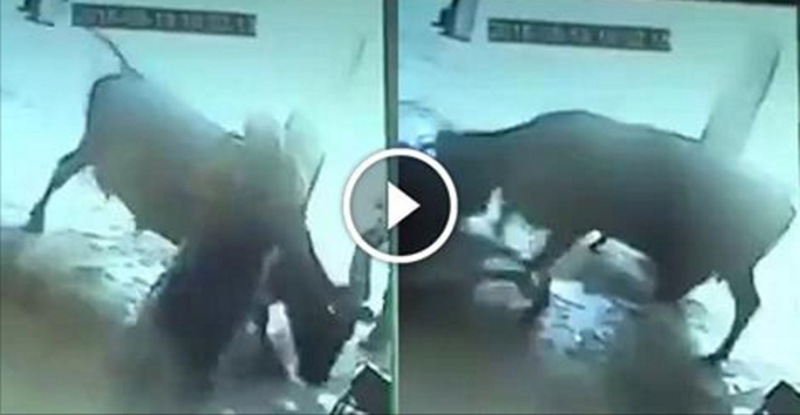 The protective cow knocked the bad guys to the ground and tried to force them to flee the scene. One man tried to intervene but was also attacked by the animal while the main culprits scrambles to get away. The girl managed to get away from the scene but sadly, succumbed to her wounds later. Apparently, prior to the attack, Seema ran off with a 22-year-old man known as Sonu. Seema refused to return to her village Pahadigaon in Morena district and with the court’s order she was sent to stay in a government-run shelter where she had escaped. This allegedly caused her father, Kalyan Singh, and her uncle Lakhan Singh to get angry and led to the attack. Sonu was arrested and charged with engaging in a relationship with a minor. 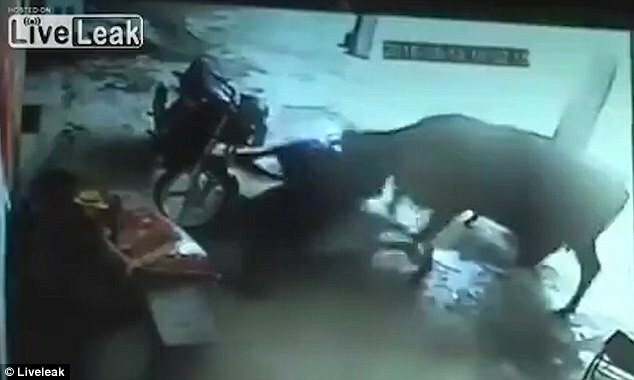 It is reported that one of the murderers was injured following the cow’s attempt to save the girl, according to the Hindustan Times.